Afternoon Teas in London Deals & Offers - Go on... treat yourself! 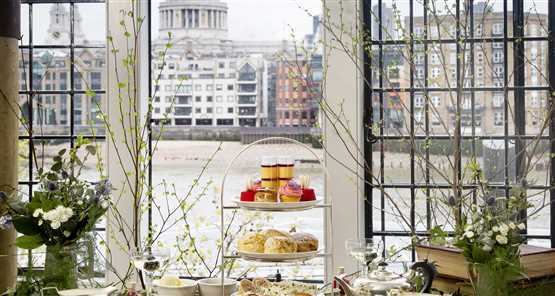 Tuck into the finer things in life with this famous British pastime... afternoon tea deals in sought-after locations right across the capital, like The View from the Shard! Treat yourself to tasty afternoon tea offers in London in luxurious hotels like Browns right in the heart of the city or leisurely cruises along the Thames… go on spoil yourself and feel guilt free for the day. Indulge in an assortment of teas, fancy cakes and sandwiches while you unwind in the elegant surroundings of some of London's most impressive venues. Make a day of it by booking your afternoon tea deals in London as part of an incredible package deal including a selection of family friendly attractions perfect for celebrating in style. It was a great experience, didn’t know what to expect with the afternoon tea but it was okay and got offered a lot of tea/coffee which was good. It was a great price which included both the shard and cruise. Staff on the cruise were very friendly and helpful. Would definitely recommend.